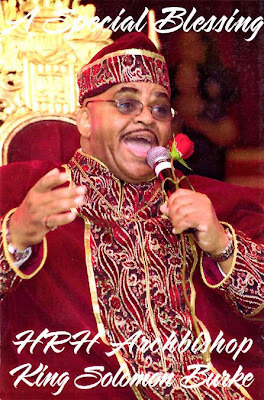 The Homegoing Celebration for Bishop King Solomon Burke was held out in California this past Friday. 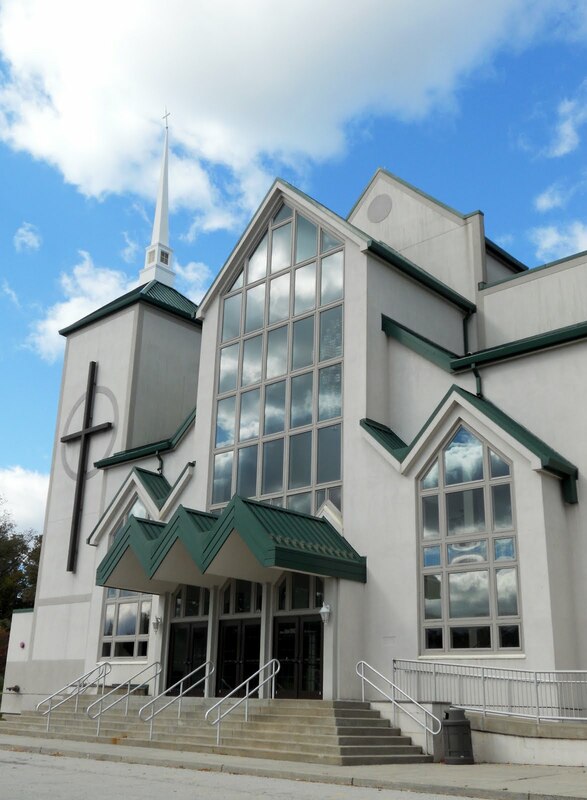 There was simply no way for us to make the cross-country trip, so we decided to go to Philadelphia to the simulcast of the service that was held at the Sharon Baptist Church. Led by Minister Lester Fields and Solomon's sister, Apostle Laurena Burke Corbin, we joined with members of Solomon's extended East Coast family and viewed the video feed from the House Of Refuge. All twenty of Solomon's children had gathered together to honor him as he was laid to rest. As his daughter Victoria told me, "He was alright with every one of us. None of his children had any issues with him... to us he represented Unconditional Love." 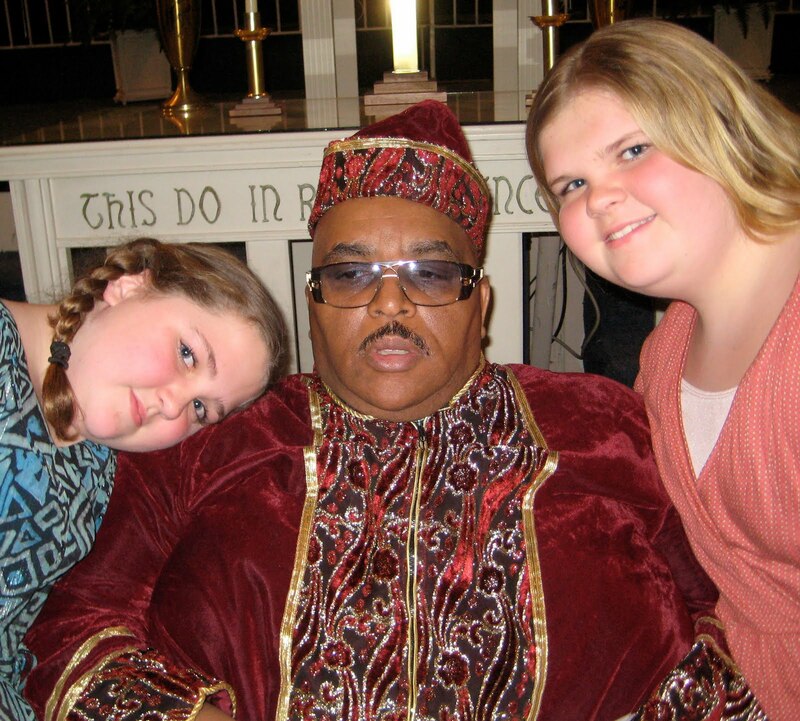 If you knew Solomon Burke, you knew that he was all about Family. He was so proud of the ever growing number of his progeny, and he prayed for them 'one by one, and name by name' every day. As I'm sure you know by now, my wife and I were married by Bishop Solomon some seventeen years ago, and as our own children were born, he welcomed them as his 'God-Babies'. Words really cannot express how it felt for us when we would visit him backstage and hear him say something like 'Here's my family coming through the door right now'. 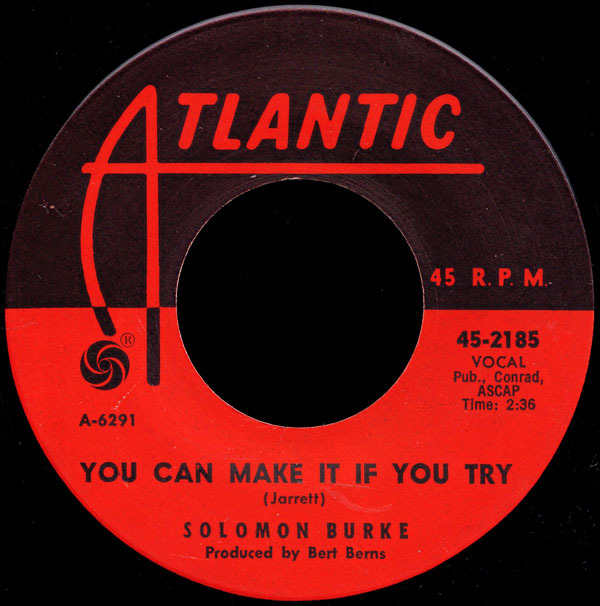 Solomon Burke was like that. He had a way of carrying you with him, of lifting you up and holding you there in his heart... of somehow believing in you, and never letting you down. 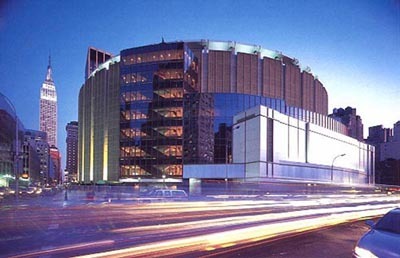 In 2003, when he was touring with Van Morrison in support of the Grammy-winning Don't Give Up On Me, my wife and I went to see him at the Theater at Madison Square Garden in New York. He hadn't been performing in the U.S. that much in recent years, and we hadn't spoken with him for some time. As we stood there lost in the crowd outside the stage door on 33rd Street, it felt like Solomon had finally hit the big time. When his black Town Car pulled up, and his son Selassie began wheeling him towards the door, my wife called out 'Doctor Burke! ', to which Solomon immediately replied 'Mrs. Keller!'. After all those years, he knew who she was, sight unseen, merely by the sound of her voice. As John Schiller said in his heartfelt eulogy on Friday, he made you feel like you were the only person in the room. 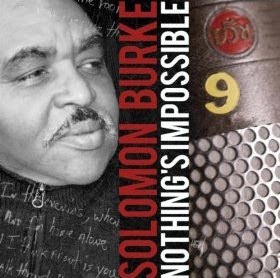 You know, Jerry Wexler is often quoted as saying that Solomon Burke was the greatest Soul singer - 'with a borrowed band' (a quote which Wexler actually attributed to Jimmy Bishop), but the fact is that Solomon kept his own. For over twenty five years, his Souls Alive Orchestra has backed him all over the world, and developed into one of the tightest outfits still playing today. Led by Sam Mayfield and Rudy Copeland, they never took the stage without joining hands and bowing their heads in prayer with Bishop Solomon. It was Carla Thomas who said to me "Why do you think they call it Soul music?," and she was right. 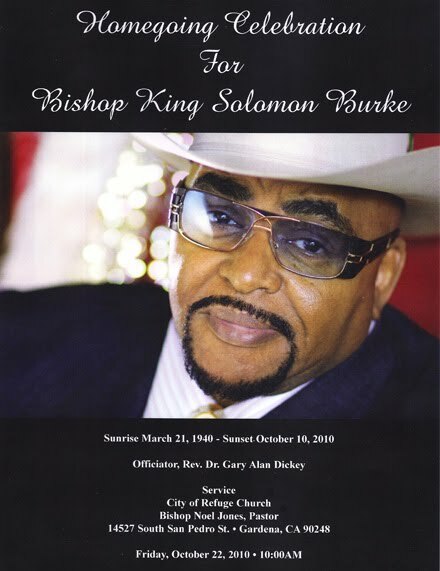 Solomon Burke's continued involvement in his Church, and his unwavering belief in the power of prayer colored everything he touched. His music couldn't help but reflect that. It was a window into his Soul. Summoned to perform before two Popes, he was a prophet that used his magnificent voice to convince us of the reality of Faith, and the steadfast truth that Love does indeed conquer all. As I walked into the Church for Willie Mitchell's funeral this past January, Solomon was there in his wheelchair. He grabbed my hand and told me he loved me. At the cemetery later on, he opened the window of the Town Car as I walked past and asked me about the family. 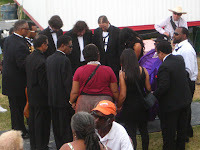 We had driven to Memphis from opposite coasts, and backstage after the Memorial Celebration the following day, he joined hands with me and prayed for our safe journey home. He made me promise to call him as soon as I got back, and when I did he held the cell phone up to his GPS as it intoned 'You Have Reached Your Destination'. We had arrived home at exactly the same time. He could make you feel so special... he had that kind of magic. 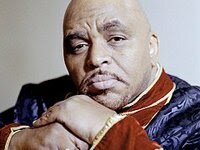 On Friday Victoria quoted her Aunt Barbara who said, "If you met Solomon Burke, and your life wasn't changed, then you never met Solomon Burke." I met him... and he changed my life forever. The Burke family will be there, and this is your time to give your well wishes and share stories, hugs and prayer. Solomon Burke always said, "Give me my flowers while I'm livin'!" If you don't own this CD yet, you really need to go out and buy one. It is, quite simply, a work of genius - in Solomon Burke's own words, a masterpiece. 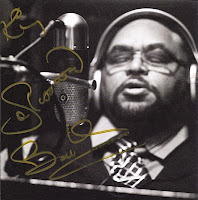 It's not Solomon doing a Rock album, or a Country album, it's this greatest of all Soul singers doing a Soul album at the last true Soul studio with the greatest of all Soul producers. It is as good as it gets and, in my opinion, sure to be a Grammy winner next February. If that weren't enough of a reason for you to pick one up, I just found out that Newbury Comics is still shipping the album with the personally autographed CD booklet that I mentioned during the YouTube interview last week. It was released on a small label, through a New York based company that Willie was working with. As Solomon says in their own promotional video for the album (which was also posted on YouTube just last week), "I hope that this record reaches out to millions of people around the world. I'm sure that whatever time it will take, it will make it, it will get to where it will be. Willie already projected what it was to be. He's in charge now, and on a higher height, and on a higher level. So we have to do our job here on earth because, you know - on earth as it is in Heaven..."
As it is in Heaven, indeed. This wonderful opening track from the album we have here today holds a special place in my heart. 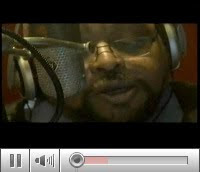 You can just picture Poppa Willie coaching King Solomon there outside the vocal booth, and getting him to really sing. 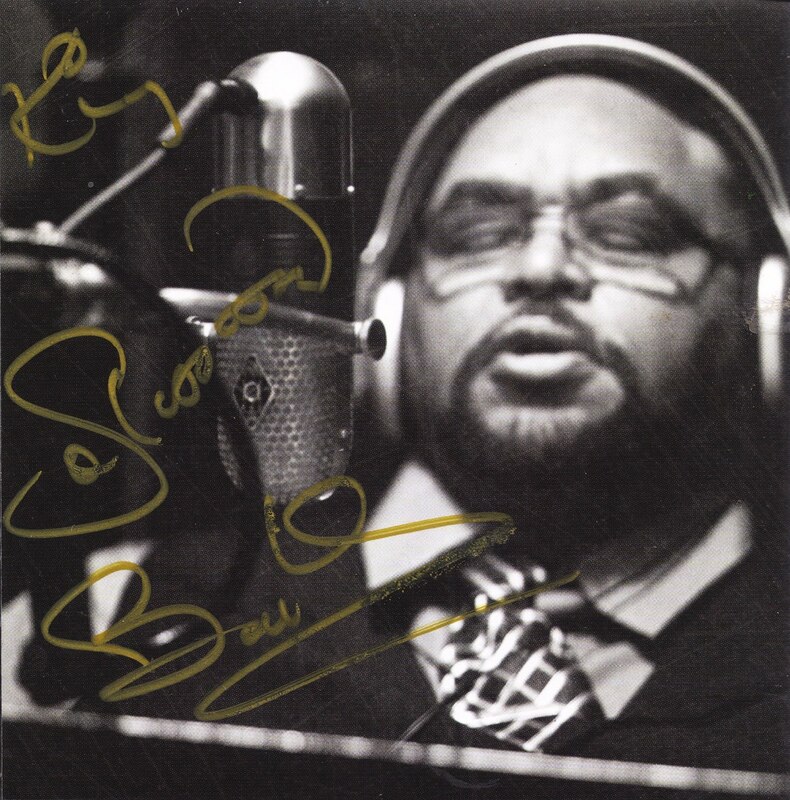 Willie (along with Spencer Randolph) co-wrote the song with another good friend of ours who passed on this year, the kind and gentle Julius Bradley. Julius had worked with Willie at Royal since the days when The Memphians cut for Pawn in the mid-seventies. 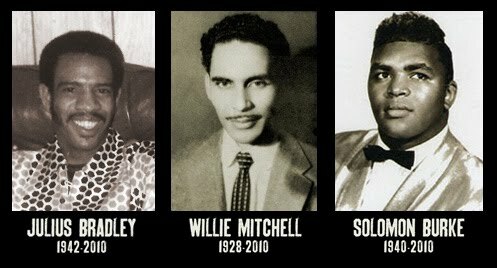 I just can't believe they are all gone. Do your job here on earth. Nothing's Impossible.